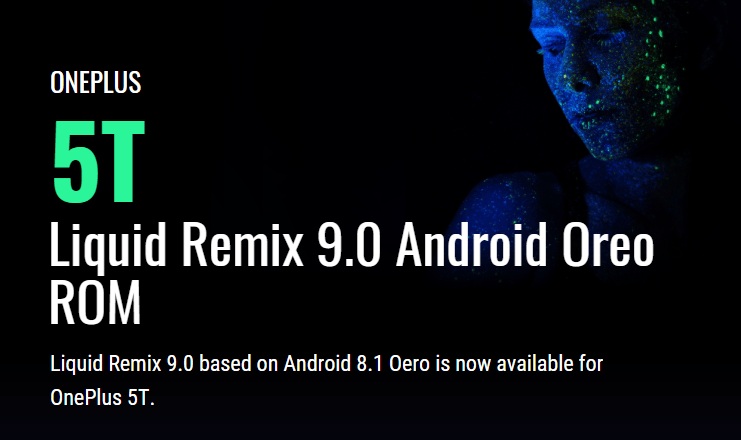 Liquid Remix 9.0 based on Android 8.1 Oero is now available for OnePlus 5T. You can download and install the ROM using our tutorial below. NOTE: This ROM will also work on Encrypted Phone! Make sure you have correctly installed OnePlus 5T USB Driver on your computer. If not, please download from any official source and install it correctly. Otherwise, your computer will not detect your device. We have mentioned full step by step instructions on how to install Liquid Remix 9.0 Oreo ROM on OnePlus 5T. If you are entirely new for flashing a Custom ROM or an Official Firmware, please read the entire tutorial once before actually performing it on your device. Step 1: Download the latest Liquid Remix 9.0 Custom ROM and GApps for OnePlus 5T on your computer. Hurray! Your OnePlus 5T should now have Liquid Remix 9.0 Oreo Custom Firmware. Go to Settings > About phone to verify.